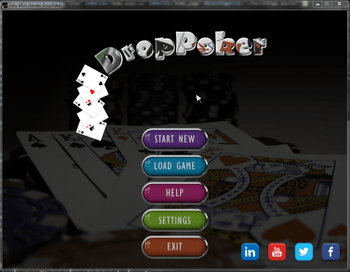 The concept behind the DropPoker game is to find poker hands of 5 cards on a board 6 x 6 poker cards. 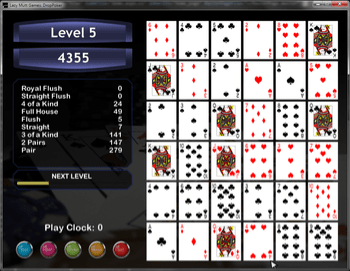 As you submit hands, the hands are scored and added to the games score. 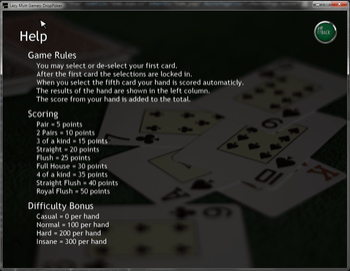 At this time the game is a single player game and can be played online or installed on a PC computer. 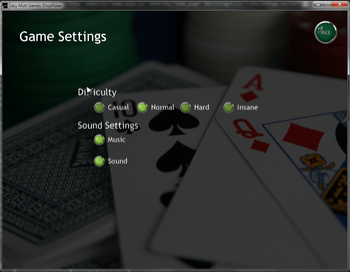 The online demo version of DropPoker limits the player to 20 levels of play and there isn't a save game feature. 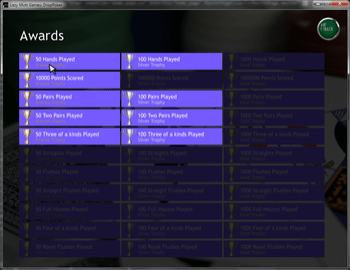 The full game has unlimited levels, achievements, and saved games.